Everyday California was once again – the bomb diggity. This time around we signed up for a Snorkel and Kayak tour. It was an absolutely gorgeous steaming-hot day of 95 degrees. 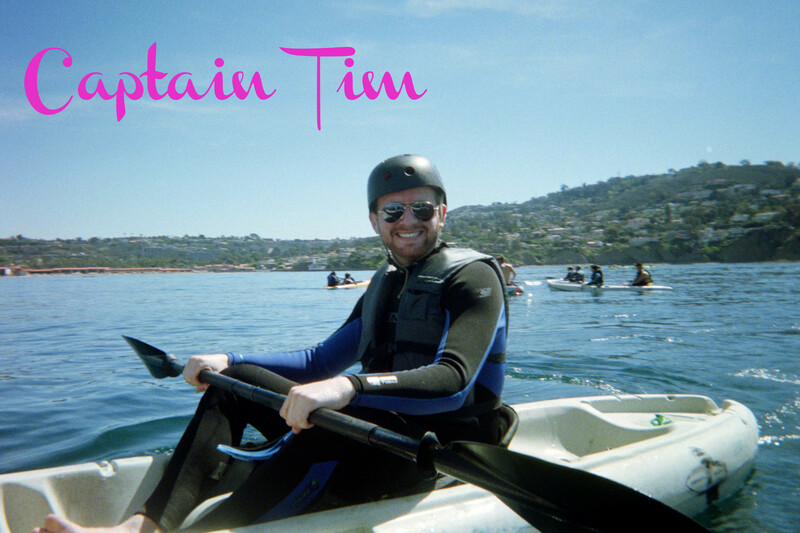 I had convinced myself that my new super spiffy rash guard would be enough to snorkel in the Pacific Ocean. For background – the only other place I have snorkeled is Cayman. And I figured – I’m from Michigan! I can go swimming in cold water! Well, Charlie pulled the husband card, insisted we rent wetsuits and I am SO GLAD that we did. I don’t care if you like to go swimming in your skivvies in Antarctica. The Pacific Ocean is COLD. C.O.L.D. I took the opportunity all day to thank him for his wiseness and repeat those priceless marital words “You were right!” over-and-over again. Anyway – enough on wetsuits. 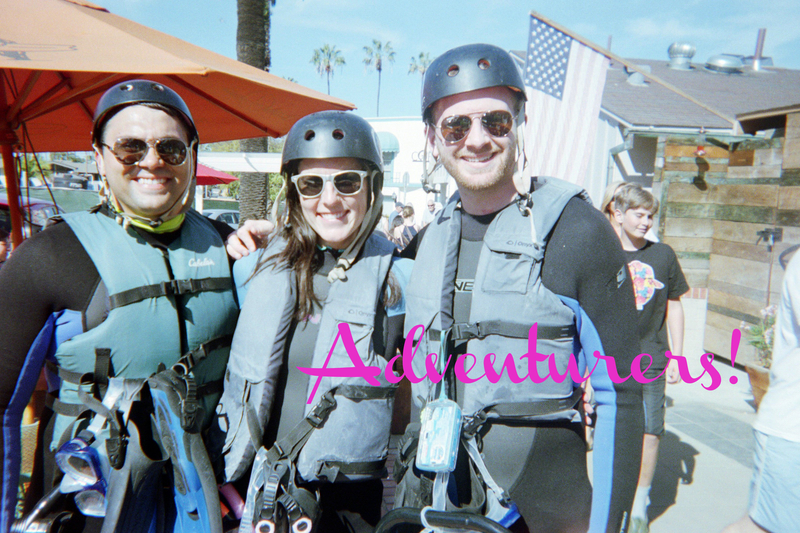 We headed out into the ocean with a group of about fifteen other people… To be honest, I figured with it being a Sea Cave Tour – we would actually be going into the caves – but we didn’t! I’m not sure if that was because of tide, or if we’re never allowed. Instead we pulled up next to the caves, docked, and then jumped in the water to do some snorkeling. 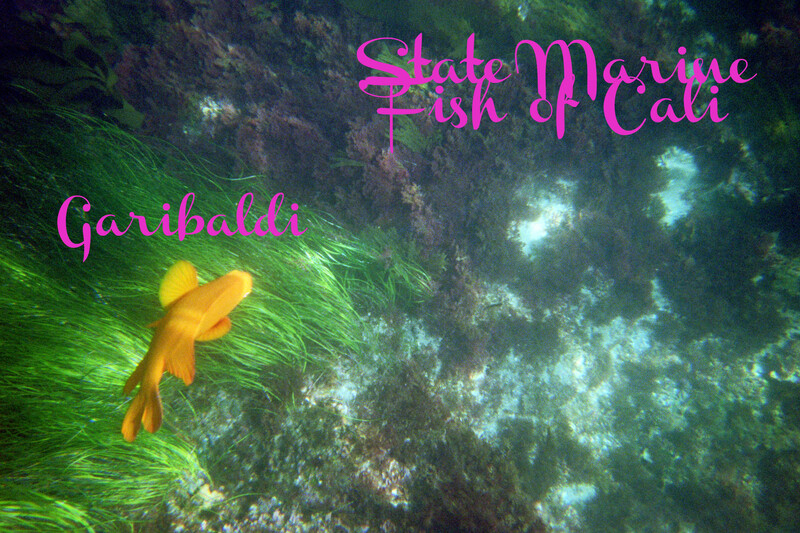 We saw lots of Garibadli (State Marine Fish of California/Giant Goldfish/Dr. Seuss character) as well as some sea lions sun-bathing on the rocks. 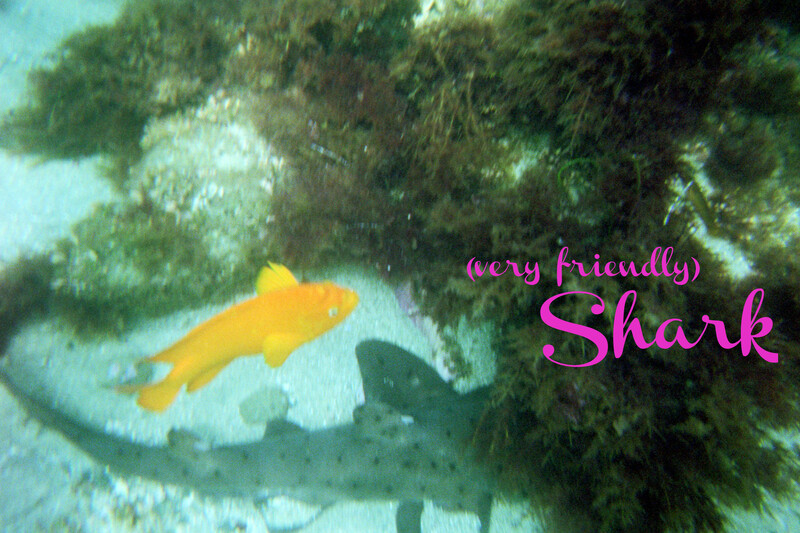 Charlie and Tim saw a leopard shark, but I was back in the boat at that time. I was so bummed! Leopard sharks are totally harmless, their mouth is the size of a quarter, and they’re more likely to give you a hickey than a chomp. Side note – one of the fun things about getting “film” developed is realizing how magical digital cameras are. At the same time – it is so fun to be surprised by what pictures we “caught”! Even though the instant gratification of a digital camera is fun – it was exciting to have a little throwback to our disposable camera days! (No filter needed. The film is literally a filter…) Enjoy the rest of the photos!